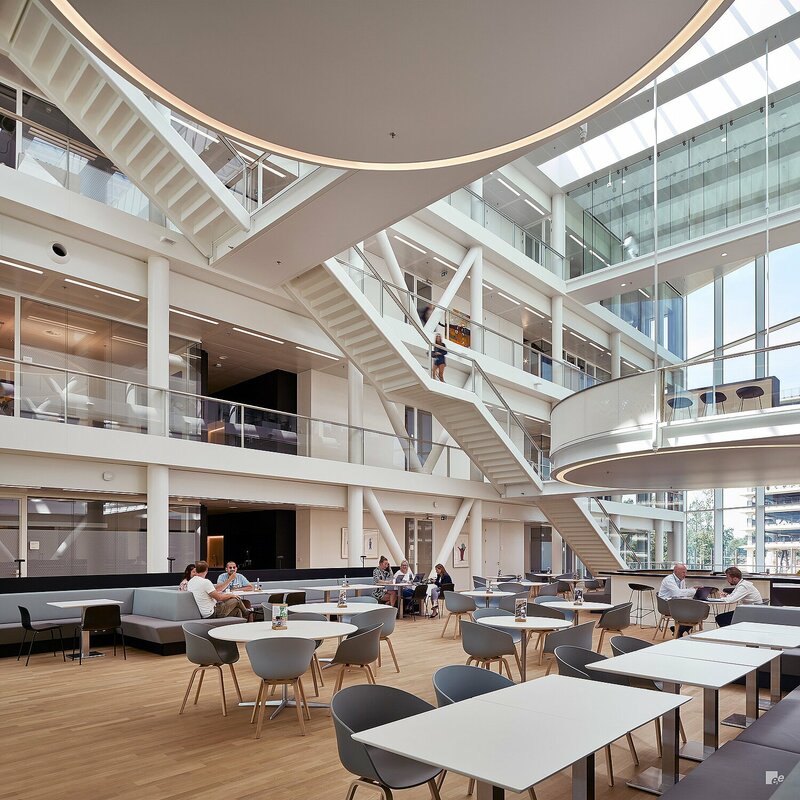 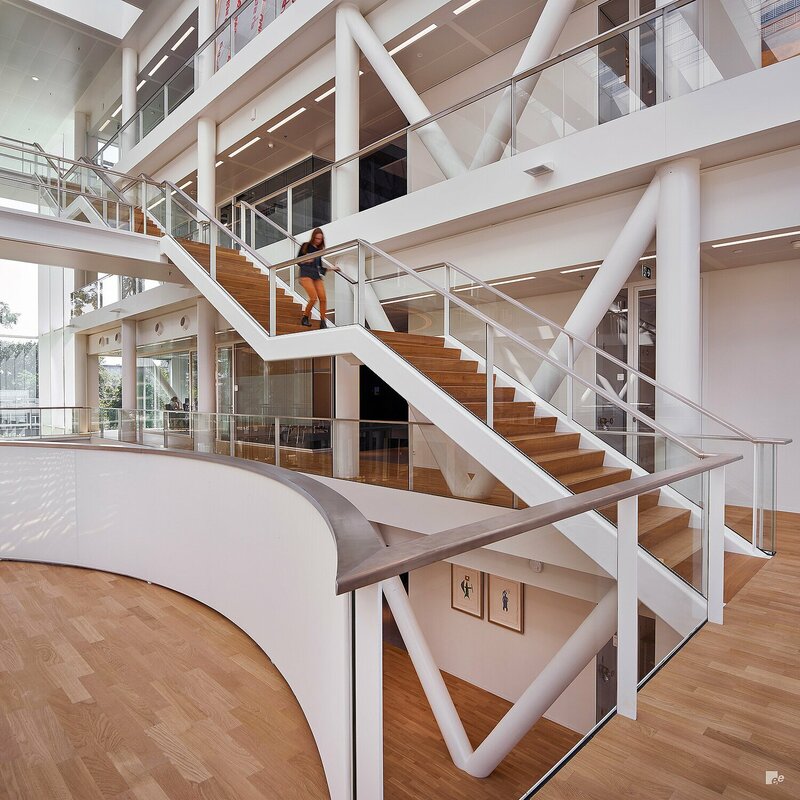 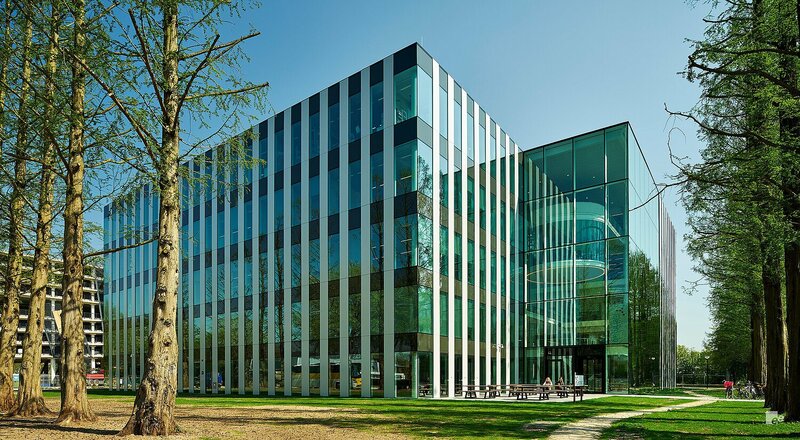 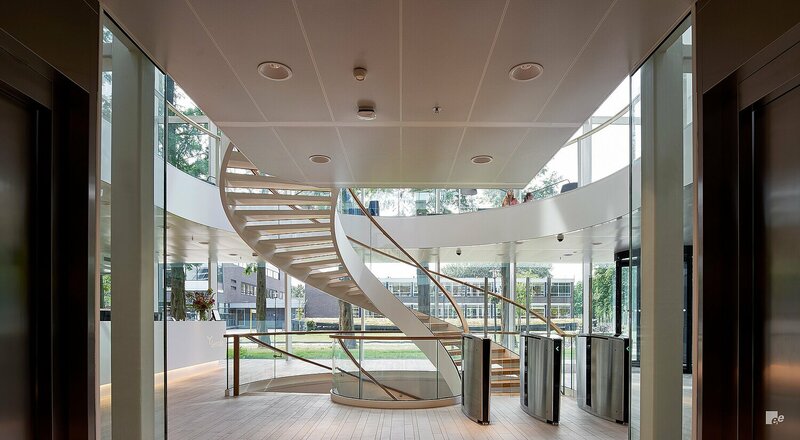 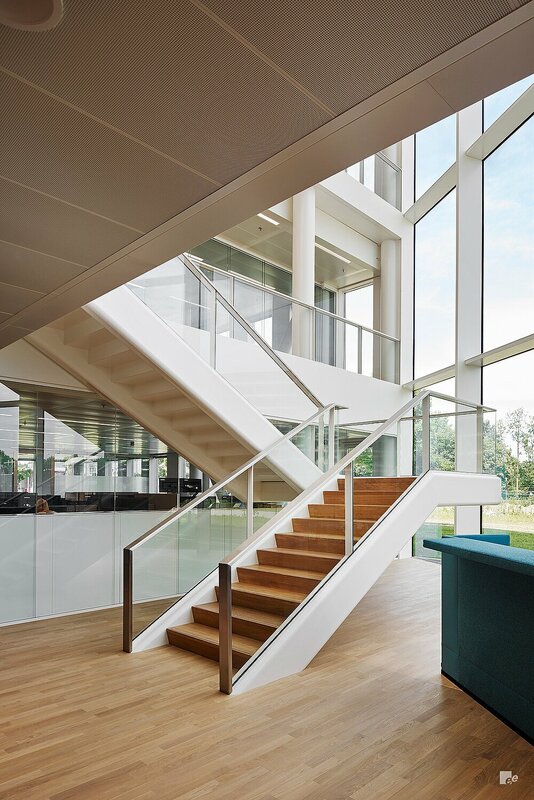 EeStairs was appointed to create a number of staircases for the Genmab Research Centre in Utrecht, the Netherlands. 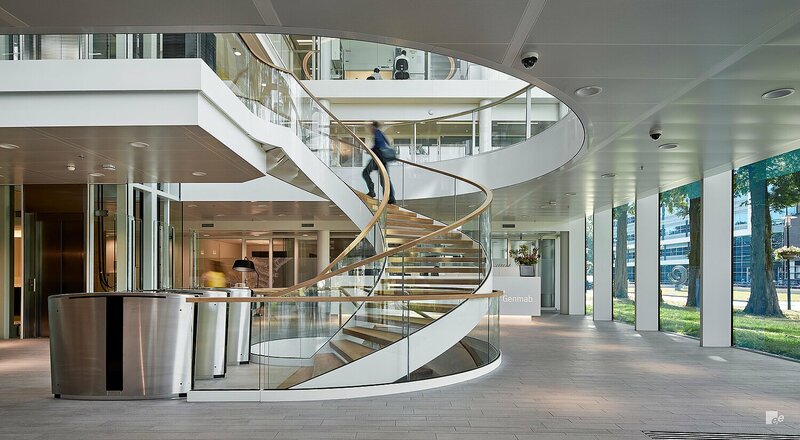 A large helical staircase that spans across a number of levels can be found in the building’s main atrium, in addition to a number of straight staircases. 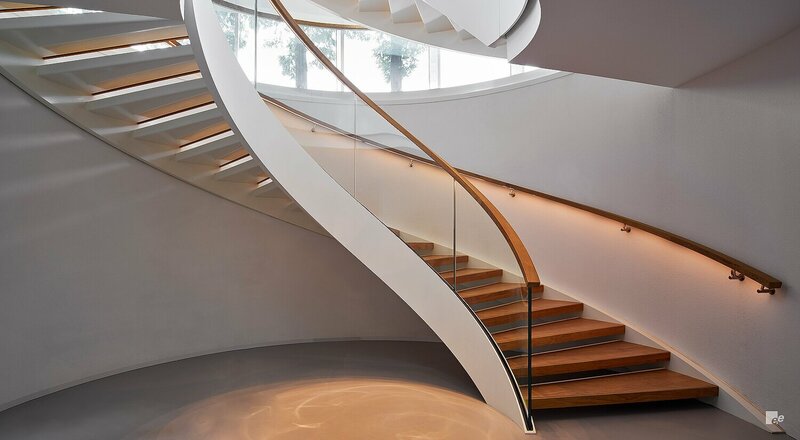 The helical staircase has a diameter of 5.4 metres, which meant it had to be assembled on site by EeStairs’ specialist installation team. 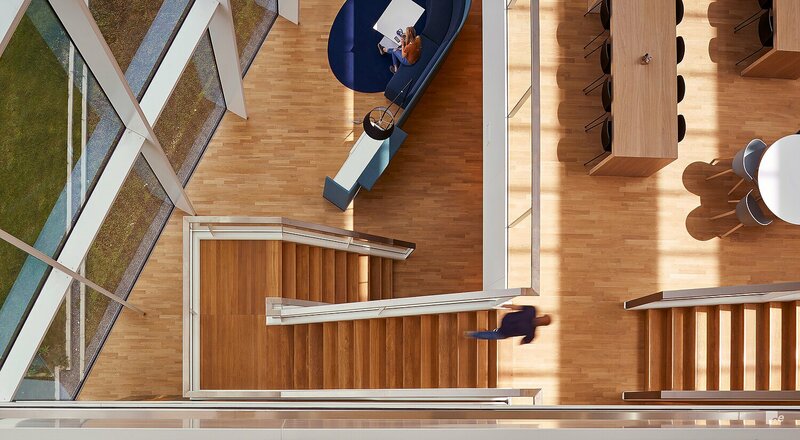 As the project required a high BREEAM rating, all wood used in the staircases’ treads is FSC approved and entirely traceable.